Congratulations! You have decided to stand out and give me the opportunity for transforming you into a great and professional proposal writer and thank you for this. You will be able to write successful applications requesting EU funds for your organisation or for your clients and increase your income at least ten times more with half the effort of what you are spending now so that to have more free time to enjoy life and make a change for the people that you love. You are more than welcome to check here official testimonials from previous users from my training and coaching. Since my time is very limited and I will dedicate personal time specifically for you, here is the deal. One month one-to-one coaching session personally with me (Nikolaos Floratos) to guide you to submit successfully your proposal or participating as partner in competent EU proposals. To apply for the only specialisation certificate in Europe issued by a world wide recognized vocational award body on planning EU projects for empowering your professional profile. The organization is Institute of Leadership and Management in UK, part of City and Guilds Group. No-Risk Money-Back Guarantee! 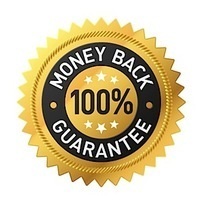 We are so confident that our offer will fully satisfy you learning expectations that we are standing behind it 100% with this remarkable guarantee: In case you take this offer and then you don't believe it's worth at least 10 TIMES the amount you paid for it, let us know - and we' ll refund every penny! No Questions, No Headaches, No Hassles!